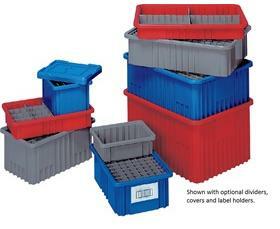 Dividable Grid Containers | Shelving, Inc.
Dividers, Covers and Label Holders sold separately. Can be used in industrial, commercial, electronic and health care industries for storage, assembly, fabrication and distribution applications. Compatible with most racks, shelving and automated, material handling equipment. Stacking rims and multi-ribbed external sides provide high impact strength. Large, smooth surface area on all four sides for content identification. 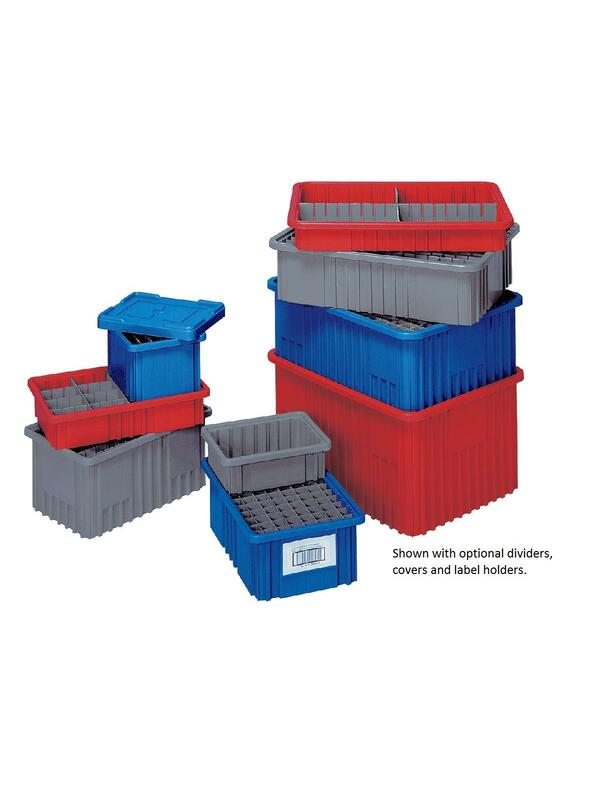 Molded-in stacking ridge assures containers will stack securely with or without covers (covers sold separately). Available in Blue, Red, Gray or Clear. FOB Shipping Point. Containers can be divided by length and/or width allowing subdivision down to a 1-1/8" square compartment size -- available in Gray. See Related Items tab for Dividers for Dividable Grid Container, Cover for Dividable Grid Container and Card Holders for Dividable Grid Container. 22-1/2 x 17-1/2 x 3"22-1/2 17-1/2 3"
20-5/8 x 15-5/8 x 2-1/2"20-5/8 15-5/8 2-1/2"